This paper proposes an adoption model for complex network-based information systems (CNIS) standards which extends current diffusion of innovation theory within a specific technological context, that of ambient intelligence (AmI). 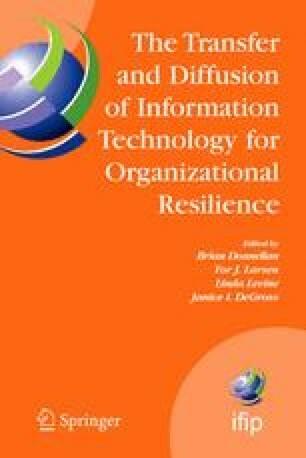 The issue of open and closed standards is especially important for networked information systems; however, a range of factors impact the adoption decision and challenge existing models of adoption. Such models are based on DOI theories that have their roots in more simplistic technological innovations. In order to extend the current view on adoption, the adoption context must be closely considered. Agile organizations must constantly survey the external environment to determine the potential of emerging technology. Open standards may make organizations less vulnerable to environmental flux due to uncertainties caused by the lack of transparency of proprietary standards. Accordingly, the proposed model moves toward providing a means to assess factors impacting the adoption of open and proprietary standards.